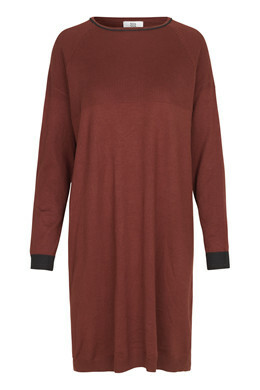 Comfortable dress in stretchy fabric with a wide ribbed trim. The dress is knee length and has long sleeves. 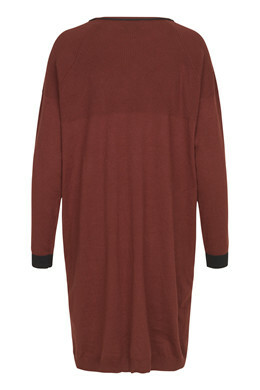 Wear the dress with a pair of stilettos for parties, or over leggings for an easy everyday style.